One reason that it&apos;s silly to get worked up about banks gambling with your deposits is that they&apos;re mostly not. Your deposits have a tendency to be structurally senior, insured, at regulated subs, etc. ; nothing all that bad will happen to them. Banks are gambling with your money market funds, and with the securities-lending proceeds from your mutual funds. Which are not insured, or particularly regulated, but which fund something like $1.9 trillion of securities dealers&apos; inventory through tri-party repo, as well as providing some $6 trillionish in other collateralized funding for dealer and hedge fund inventories. And this is really much worse, crisis-wise. Since deposits are insured, runs on them are rare. Runs on repo probably caused the financial crisis. Maybe. 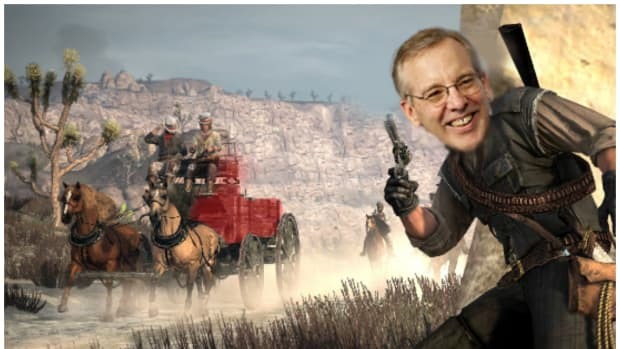 NY Fed President William Dudley gave a pretty good speech about this stuff today; you should read it, or read some summaries here or here. The most fun parts for me had to do with the tri-party repo market. by night, those cash investors lend the cash directly to the dealers in the freaky unregulated shadow banking market. Through the tri-party repo market, the two large clearing banks were providing a large amount of intraday credit to securities firms each day to facilitate the daily “unwind” of the prior day’s transactions. In the run-up to the crisis, the daily “unwind” practice helped make tri-party repo look like a very liquid investment while still being an apparently highly durable source of funding. This masked the underlying risks and contributed to weak risk management practices. ... Reducing the market’s dependency on intraday credit will make the market more resilient to future stress events, by forcing all participants to consider the credit and liquidity risks they are exposed to. [One] option is to have a mechanism or process to facilitate the orderly liquidation of a defaulted dealer’s collateral. One could imagine a mechanism that was funded by tri-party repo market participants and potentially backstopped by the central bank. This would have the advantage of dealing with the entire tri-party repo market and not artificially favoring one type of collateral over another. It would also push against the underpricing of liquidity and credit risk during good times by forcing market participants to pay for the costs of a liquidation facility up front. Because no single market participant has a strong incentive to develop such a mechanism, however, sustained regulatory pressure may be required to reach such a solution. From the perspective of the tri-party repo borrowers and investors, the status quo undoubtedly is viewed as superior because neither group is forced to fully bear the externalities associated with their actions. Instead they anticipate that emergency liquidity would be made available in the event of a future systemic crisis. Which path to go down—limit wholesale funding or backstop it more broadly—would depend in large part on the social value of the capital markets-based activities presently being financed in unstable short-term wholesale markets and the utility of short-term wholesale funding for lenders. What do you think the odds are that the political-regulatory system will come to the conclusion that "the social value of the capital markets-based activities presently being financed in unstable short-term wholesale markets" is high? And now Dudley is pondering something similar for the tri-party repo market. He may not be all that optimistic, but I don&apos;t know. I think it&apos;s at least possible that the modern banking system can, with hard work and "sustained regulatory pressure," reach the level of technology that it managed in the 19th century. 1.Though with haircuts. Here is a chart showing the average repo haircut for, say, equities is 8%; the average haircut for ABS is 7%. 3.Really the headline is a needlessly extreme characterization of that, sorry. But it&apos;s fixed in this footnote, so. 4.That&apos;s from page 33 here. It&apos;s a fascinating history and I oversimplify wildly; in particular the response was not mainly to do an orderly liquidation of failed banks, but rather to jointly suspend convertibility out of all banks, and stop publishing financial information on all banks, to make runs on one bank less likely. Bill Dudley is done pussyfootin' around.